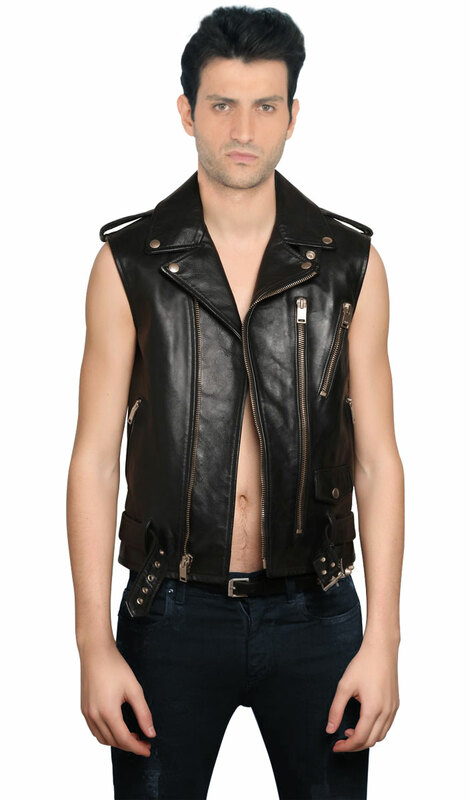 This ripping leather vest gives a super-stud look to the wearer. 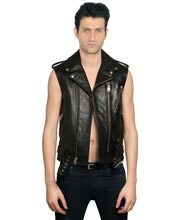 Excellently designed and worked upon, with its trendy features, this lambskin leather vest is an attention snatcher. Be it the notch lapel collar with studs, angled and vertical zipper pockets or the off center zip fastening at front, this trendy piece of leather provides you with a sturdy and tough look. Apart from these, it’s ultra –stylish factors like the epaulets on the shoulder and embellished buckled straps on the hem, surely makes it stand apart from the rest of its types.